John Judd and Mary Beth Fisher. "A Doll's House, Part 2." Huntington Theatre Company. Photo by Kevin Berne. 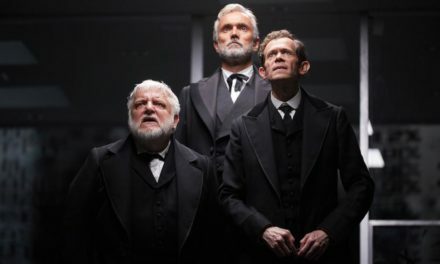 After A Doll’s House, Part 2 enjoyed critical acclaim and eight Tony nominations on Broadway, regional theatres all across the United States have picked up Lucas Hnath’s sequel to Ibsen’s landmark drama. It is no surprise why. It offers a playful riff on a classic play and stages a crackling debate on issues as relevant in Ibsen’s day as they are our own. Set 15 years after Nora (Mary Beth Fisher) famously left her husband, Torvald (John Judd), she returns to resolve some unfinished business. She’s now wealthy, having achieved a lucrative career as an author. Her most famous book, written under a pseudonym, condemns the institution of marriage and argues that love and selfhood are destroyed by the vows (and constraints) of matrimony. Her book has flown off the shelves and inspired many women to leave their husbands. Amidst the controversy, however, a judge, whose wife has left him because of the book, blackmails Nora and promises to reveal to the world her real name, Nora Helmer. This news is a surprise to Nora as well, who had spent years conducting business under her maiden name, assuming that Torvald had filed for divorce. He had not. So, she has returned to her old home to convince him to finish the deed, to spare her public embarrassment, and to free her from the confines of that contract. Amidst the hurt feelings, the debate over Nora’s actions and their effect on the ones left behind, not just Torvald, but also her nurse Anne Marie (Nancy E. Carroll) and her daughter Emmy (Nikki Massoud). The play stages a reckoning. While Nora tries to convince Torvald to file the divorce, she also must come to terms with the effects of her actions. In its co-production with Berkeley Repertory Theatre, the Huntington Theatre Company has commissioned Les Waters of the Actors Theatre of Louisville to take the helm. On directing Hnath’s play The Christians, Waters says “you need performers who could stand up in court as lawyers and really argue, who can get the language in their mouths, and pursue the logician of an argument, find the rhythm of the language and really go for it.” Everything about his direction of A Doll’s House, Part 2 shares in that approach. Designed by Andrew Boyce, the set looks like a courtroom in its austerity. 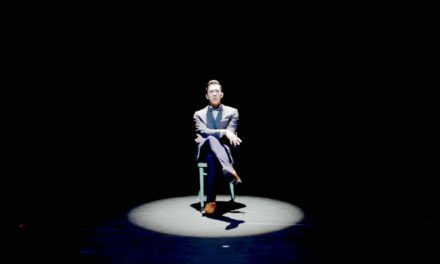 The audience sees nothing more than three gray walls, a door, a hallway, a coatrack, a table, and two chairs. It is absent of any signification, placing all focus on the characters and their words. The blocking is also minimal. Every once in a while a character will reposition a chair, bringing it downstage, turning it toward or away from Nora, as if to take a stand or to stage a rebuke. 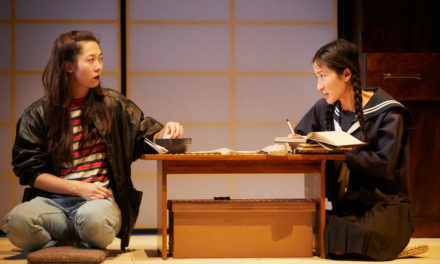 Consequently, the play’s success depends on the actor’s ability to put forward Hnath’s smart, crisp, and funny dialogue, to relish the arguments in the play, and to take comfort in the theatricality of its discourse. The Huntington production succeeds on all measures. Fisher’s Nora, who remains on stage the entire ninety minutes, is confident, direct, funny, at once charmingly persuasive and frustratingly brash. She brandishes Nora’s actions as both triumphantly just and selfishly misguided. Judd’s Torvald, on the other hand, seems to lack the bullishness of Ibsen’s character. He comes off as aloof, aimless, fumbling, and exasperated. The actors’ portrayal of these two characters skillfully disrupts any expectations of good versus bad, man versus woman, right versus wrong. They present flawed characters struggling with their very indebtedness to each other. It would be easier if one could just leave. But in a society of laws and ideologies and expectations of men and women, these sorts of things are never so simple. Carroll’s Anne Marie and Massoud’s Emmy, likewise, are both hilarious in their own ways as they toss Nora’s words and actions back at her. Carroll portrays an older woman who has no use for Nora’s grandstanding. Her character has had to perform the emotional and physical labor in Nora’s absence and is unafraid to let Nora know. Massoud, on the other hand, plays a young woman, very eager to get married, very eager to be rid of her mother, who she never got to know in the first place. Through these two characters, it becomes painstakingly clear throughout the course of the play that Nora’s return is a disruption. The characters have all reconciled with her absence, but they cannot forgive her return. There has been an inclination to read Ibsen’s play as a problem play, one that points out injustice in society and tries to solve it. But Ibsen was far more concerned about the philosophy of selfhood and the costs of personal discovery than he was in societal remedies. Hnath’s text shares the same focus. It considers the values of individualism on an ideological plane. 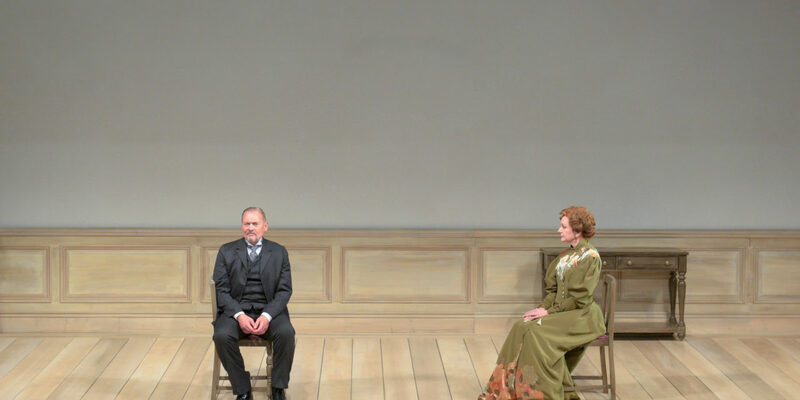 The Huntington Theatre Company’s production of A Doll’s House, Part 2 honors that mission, while imbuing the text with energy, wit, and an ironic (and often very funny) sense of detachment. Presented by the Huntington Theatre Company, Huntington Avenue Theatre, Jan. 4-Feb. 3, www.huntingtontheatre.org.